Amcor, the global leader in responsible global packaging solutions, has announced the acquisition of Deluxe Packages, a privately owned flexible packaging business for US$45 million. 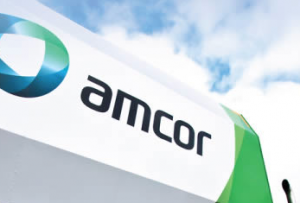 Amcor said the new addition to its business will form part of its newly-formed Flexibles Americas business group. Deluxe operates one manufacturing plant with cutting edge technologies, capabilities and highly skilled co-workers in Yuba City in Northern California. The company provides high-performance flexible packaging products to customers in the fresh food and snack segments, generating revenues of approximately US$42 million. Amcor CEO and Managing Director Ron Delia said the addition of Deluxe Packages will strengthen the company’s customer value proposition in the specialty food packaging segment and enhance growth in its priority segments. “North America is an attractive region for flexible packaging and this acquisition represents an excellent opportunity to accelerate profitable growth,” Mr Delia said.